What can be more important than getting leads for a networking business? 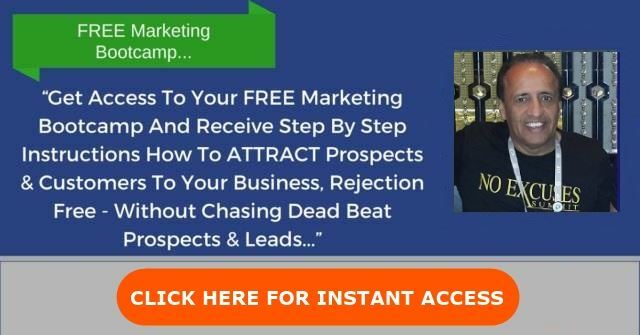 Getting targeted leads is by far the best way to quickly scale your MLM business, but it can be extremely hard to prospect for leads when you are starting your MLM business. But why are targeted leads important for a networking business? 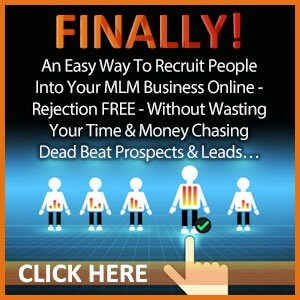 Targeted MLM leads are people who are already interested in earning additional income through a networking business and are actively searching for such opportunities. Most network marketers make the mistake of trying to recruit every available person into their business in the hope that they will buy into their business idea. But this process is time consuming, inefficient, and leads to a waste of limited resources. The best way to get more people to join your MLM business is to target people who are already interested in your business. That way, you won’t have to beg, coerce, persuade and entice people before they join your MLM network. Targeted MLM leads will help you cut your prospecting time and expenses drastically, and you will grow your business within a short period. 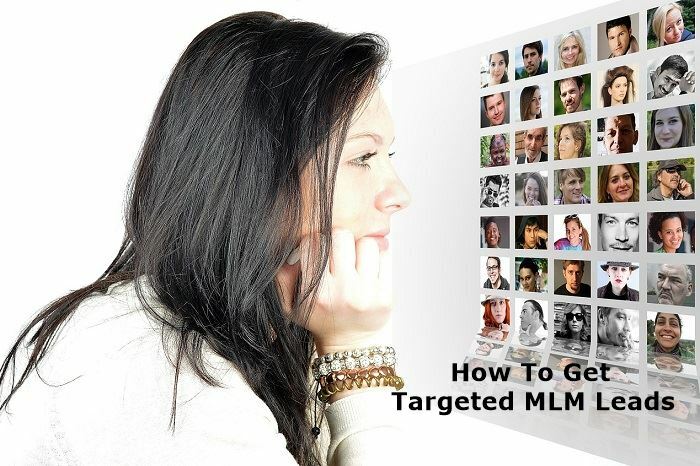 However, you need to know how to target MLM leads that are already willing to join you. 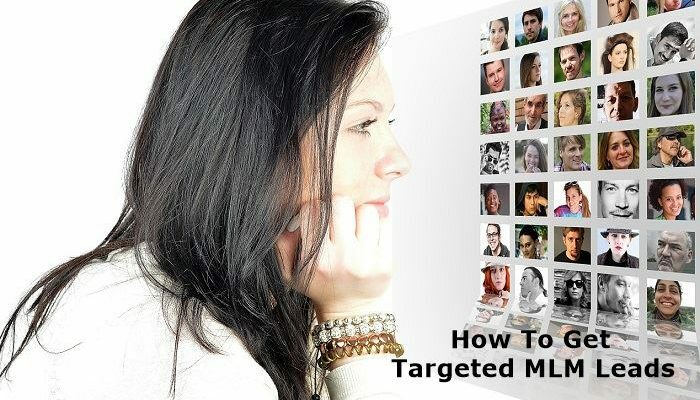 In this article, you will learn the best way to get targeted MLM leads. What are you selling and who needs it? You need to find out the group of people who need the type of products that you sell. The first step is to identify your target market. Where is your target market? The standard prospecting method used by MLM companies of old was to encourage network marketers to pitch their business idea to the first 100 people in their lives. That includes family and friends, the neighbour living next door and down the street, the person sitting next to you on the bus and your colleagues at the office. But that approach is wrong if you are targeting MLM leads. You need to find a way to connect with your target audience, not every person sitting within 3-feet to you. If you sell fitness wear, your target audience is in the gyms and fitness studios, and if you sell ladies shoes, you may get people to buy your products by visiting corporate offices. How do you get your market to join your network? The next step after identifying your target audience is to know how to get them to join your network. But to do this, you have to demonstrate that your offer is going to add value to their lives. Emphasize the benefits they stand to gain when they join you, learn about their wants and needs and offer a solution in a way they can’t refuse. Help your target MLM leads to solving problems, and you will always be in business. When you understand the needs of your target audience and where to find them, it’s time to start prospecting. Here are some of the most effective ways to get people to join your MLM network. You may not need to build a personal website if your MLM company provides one, but not all of them offer websites, and some won’t allow you to build one for yourself. Either way, you need to create a website to promote your products and services as failure to do so is leaving money on the table. Creating a personal brand for your MLM networking business helps portray you as a brand and differentiates you from the competition. If your MLM company has a policy that doesn’t allow you to create a site for their offering, create one that deals with affiliated topics. For example, you can create a personal finance website if you sell retirement plans or build a recipe website if you sell kitchen utensils and appliances. Populate your website with topics relevant to your MLM business and include all the information about your networking business and how people can join your company. But always provide value to your audience and stay consistent. Search engine optimized articles with ranking keywords in your niche are one of the best ways of positioning yourself before people who already need what you offer. The exciting part is that most SEO functions are free. Whether through your website or on other people’s website through guest posting, or via public websites such as BuzzFeed, Medium, and the likes, you can create valuable content which can draw thousands of prospective leads to your business. The key factor is always to provide value in your articles, and you may never have to prospect anymore. People who are familiar with your work will help spread the word about the greatness of your offers, and they will come looking to join your business, not the other way round. 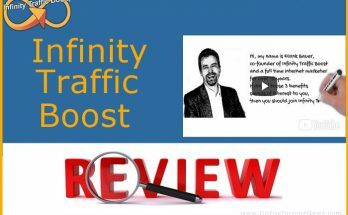 You can cover a lot of ground by guest posting MLM topics on websites related to what you do and backlink to your website. You can also write articles related to your products and services targeting people who already want to buy. Remember to add a bio and a link to your website. Social media offers one of the biggest platforms for prospecting for all manner of businesses, and it can be a goldmine for an MLM network business if you know your onions. Facebook is the best social media platform to generate targeted MLM leads. Facebook Ads offer an incredibly accurate mechanism for targeting your audience, although it’s not free. With Facebook Ads, you can target your market by interest, gender, occupation, religion, preferences, demographics, and several other variables with military precision. This means you will cut off the clutter and get your offer directly in front of the people who need it and are willing to buy. In addition to Facebook, Instagram, Twitter, YouTube, Reddit, Snapchat, Pinterest, and LinkedIn are other great platforms for generating targeted leads. If you don’t have a large budget to run ads, you can always build a following from scratch, but this can take some time before you start seeing the desired results. Like everything else in business, you have to provide value to your social media audience consistently if you want them to buy anything from you. 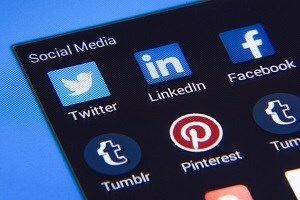 It may not yield anything at first, but you will continue to generate leads if you have the resilience to build a strong social media footprint. Yes, referrals are one of the simplest and cost-effective ways of generating leads. However, the success of you asking for referrals depends on the experience people have had with you. If you mistreat your clients, they won’t stay with you, and you won’t be getting any referrals from them. On the other hand, people can help you perform your prospecting responsibilities free of charge if you delivered as promised. You can increase the chances by incentivizing them to point people towards your direction through a referral program. It might be giving them a discount, or accumulating points or any other thing that will entice them to send people to you; a good referral system can be a cheap and easy way to boost your lead generation. The money is in the list. An email list is a goldmine in the hands of a savvy network marketer. All the above methods can be used to build an email list. 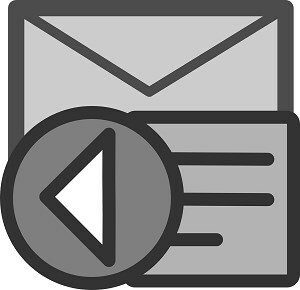 All you need to do is find a way to persuade prospects to opt into your email list. Most people use a gift, but you can introduce your offer to the prospect upfront if you are looking to generate targeted leads. If they already need what you have, they will opt into your list. Once you have built your email list, you can then use it to communicate with them, share information about new products, special offers, industry updates and anything that you think might benefit your subscribers. Having an email list, personal website, or large social following is not enough, you must stay in touch, add value to your network and continue to prospect and fine tune it. I hope you enjoyed this post and if you have any questions about how to get targeted MLM leads or you just want to leave your own personal experience, leave a comment below. I would love to hear from you! Previous Article Is Bitcoin Profit A Scam? 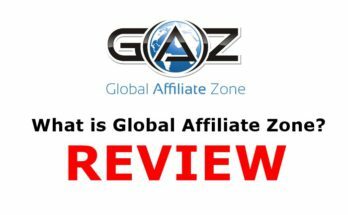 Next Article Income League Review – Is It A Scam? MLM leads are important but they really have to be targeted leads. It all comes together when building your website and getting your leads by way of referrals and emails. 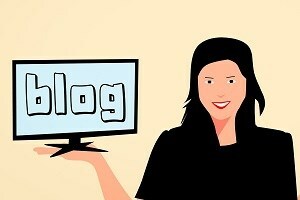 Social media is so popular today and so is SEO article marketing. I think it’s important to do every one of these things to be the most successful. The more leads you get for your business the more successful you’ll be. Great information here for building your business through marketing! Hi Rob, thank you for stopping by and taking the time to comment. These days there are so many ways online for getting targeted MLM leads that there really is no need for any network marketer to pester or chase their family and friends!